Located in the Old Quarter of Hanoi – bustling with commercial activities, these great locations combine modern amenities with a classical ambiance to give guests the feel of a home. Be sure to explore other aspects of the capital. let’s with reporter of CNN finds best Hanoi boutique hotels. With the diversity of neoclassical architecture and Gothic architecture, an ancient urban area of 1883 – 1954 was restored in the heart of Hanoi. Despite its chaotic history, the rest of the architecture is truly admirable. 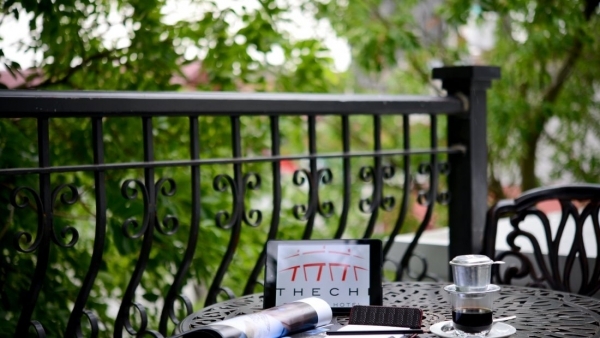 One way to experience it is to stay in one of the best Hanoi boutique hotels. As its name implies, the Hotel de l’Opera is very close to the Hanoi Opera House – where regular ballet, concerts and folk music are held. The hotel is built in neoclassical French architecture on the outside, inside is decorated in magnificent style, luxury. Situated on the same “green road’’, the 107-room Hotel de l’Opera is built in white colonial architecture. Stepping through the luxurious doors, visitors will be overwhelmed by the high ceilings, silky curtains, classic furnishings, along with colorful fashion boutiques of the big brands – Max Mara. , Prada and Louis Vuitton. Each room in the hotel has its own color scheme and design. best Hanoi boutique hotels. The rooftop of the Hotel de l’Opera. in addition, the hotel is also very close to the city center where guests can visit Hoan Kiem Lake, the bustling old town and countless bars, restaurants. 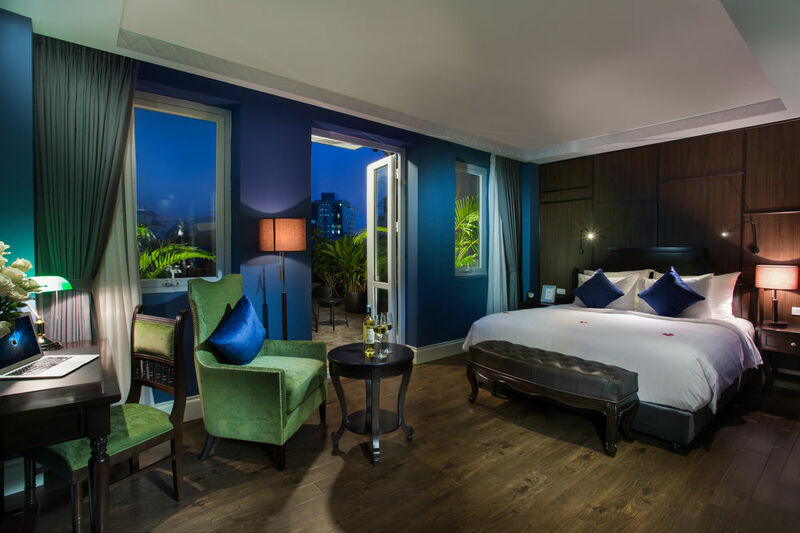 As a very new property in Hanoi, La Siesta Central Hotel & Spa opened in August this year in the Old Quarter, near the romantic Hoan Kiem lake. 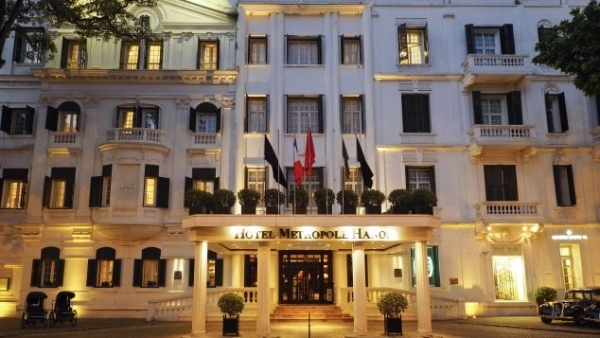 It is called be ‘’little Metropole’’ (Famous historical hotel of Hanoi, Metropole). 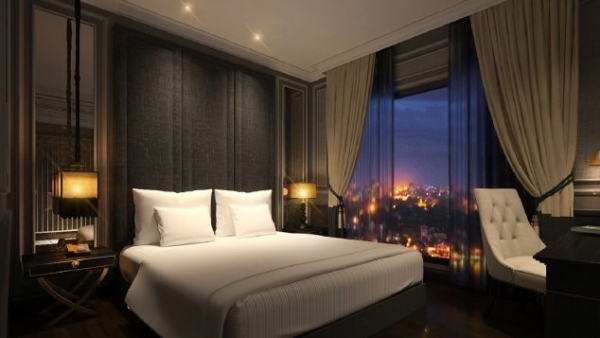 best Hanoi boutique hotels. 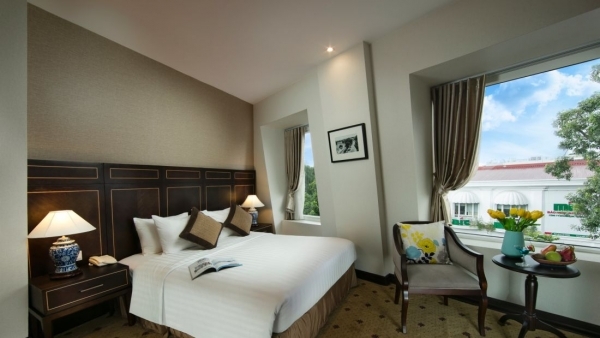 The hotel has 27 bedrooms, with 19 rooms can see the panoramic view of Hoan Kiem Lake. In addition, there are restaurants, rooftop bars open from sunset and spa therapies that provide useful relaxation therapies in Vietnam. Modern bedroom at La Siesta Central Hotel & Spa. The new building was built in the style of colonial architecture. 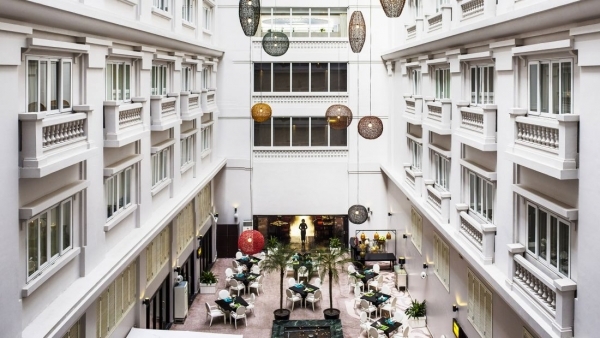 Inside, the hotel is also designed in a French style with dark wooden paintings, black and white tiles, wrought iron furniture, romantic balconies and classic monochrome artwork, lobby. The hotel was built in the best location in Hanoi. Just steps away from the hotel, visitors can see the old town and Hoan Kiem Lake. Khách sạn O’Gallery Premier – best Hanoi boutique hotels. 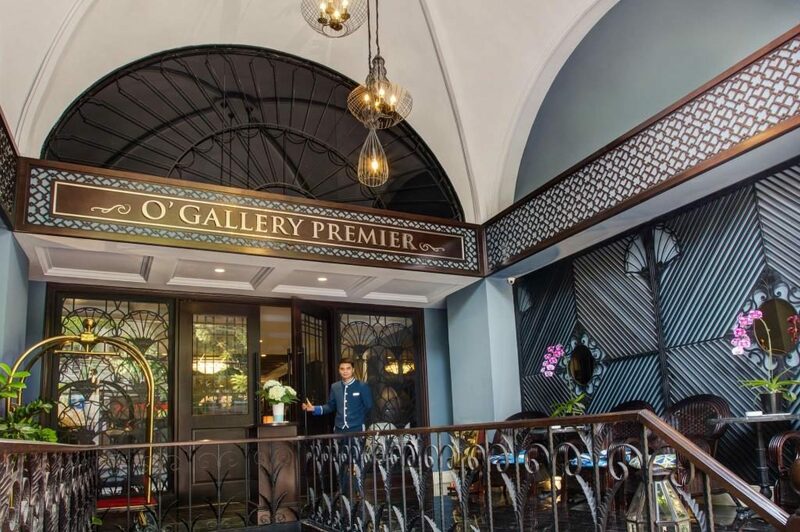 O’Gallery Premier Hotel is prominently located in the Old Quarter of Hanoi, very attracted by its façade decorated in blue tones and colonial style. The blue accents continue to appear inside the interior, bringing the classic but close to everyday life. Each of the 55 rooms has distinctive and sophisticated touches, such as wooden walls, velvet furniture, leather chairs and commendable service. 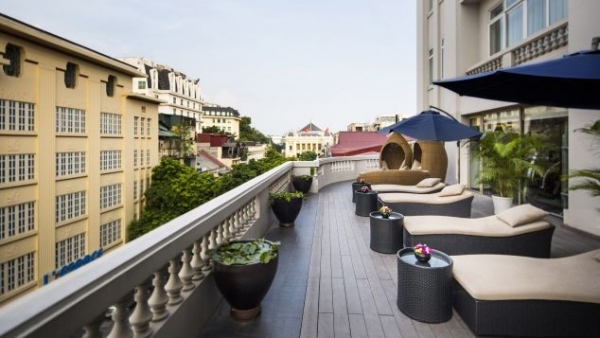 best Hanoi boutique hotels. 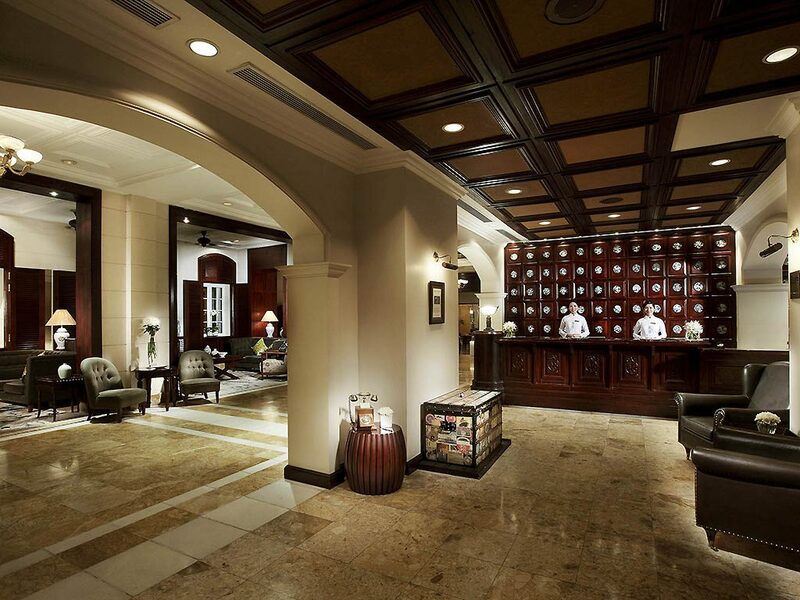 In addition, the hotel also offers Thang Long Deli and Spa Restaurant. 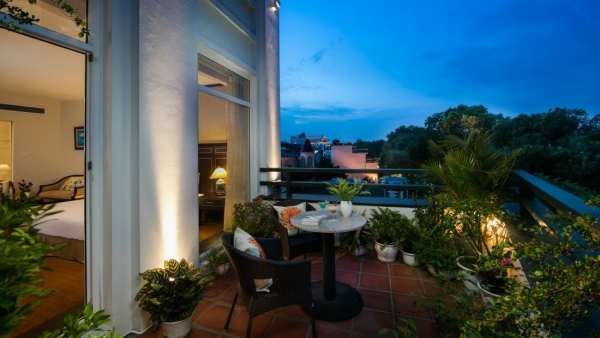 Khách sạn Zephyr – best Hanoi boutique hotels. Located just south of Hoan Kiem Lake – the center of Hanoi, Zephyr is a colonial-style, white colonial-style colonial house with large pillars and tall ceilings. The hotel has 40 beautiful and comfortable rooms – with wooden beds, French antique furniture and some also have private balconies. 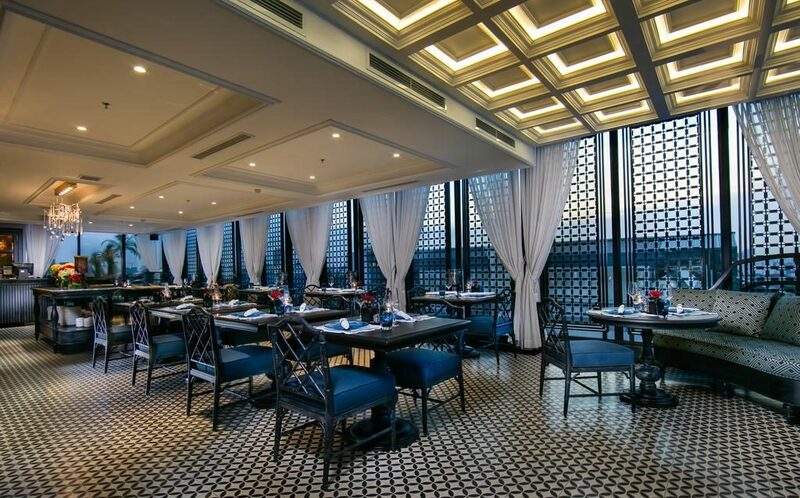 The reception hall on the ground floor also has a café with small marble tables and colorful oil paintings, a Vietnamese-style restaurant with red napkins, lotus decorations and a quiet garden. 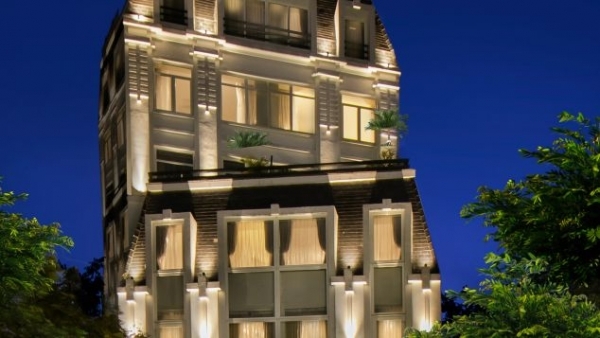 Maison d’Orient – best Hanoi boutique hotels. Nestled in a quiet alleyway in the center of the old town, the Maison d’Orient is home to eclectic furniture, mosaic tiles, antique prints and local artworks. The hotel’s open-air terrace serves as a shared dining area, offering a “east-west” feel, with wooden tables engraved with Oriental motifs. Although the area is not large – from only 182 to 400 square feet – each of the hotel’s 10 rooms has its own unique character, but all are designed with plenty of natural light and bamboo furnishings. .
Major attractions like St Joseph’s Cathedral and Hoan Kiem Lake are also just a few minutes’ walk away. 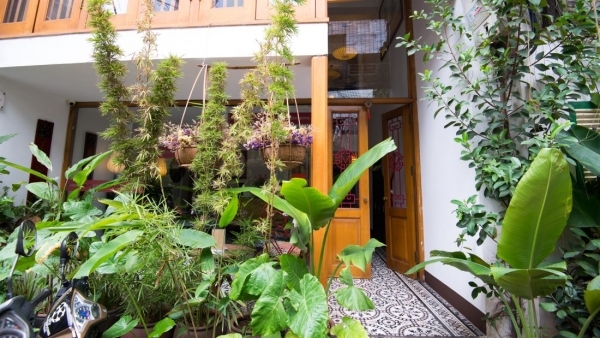 Another highlight in the Old Quarter, Essence Hanoi is located right next to Hanoi’s famous Beer Corner – where visitors and locals alike sit on small street chairs and enjoy a glass of beer on board. night. It is also located near the Dong Xuan Market a popular spot for snacks, souvenirs and silk crafts. Essence Hanoi is a medium-sized hotel, offering only about 30 rooms. Each room has a combination of decoration inspired by contemporary Vietnamese art and technology applications. 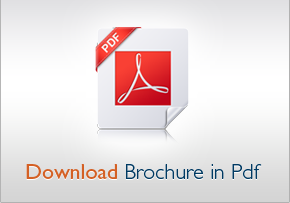 The hotel also provides free laptops for guests to use during their stay. The first thing that impresses you at Chi Boutique Hotel is a wall full of fresh flowers and leaves. With modern design in 42 rooms, guests can enjoy spacious bathrooms, lotus-inspired artwork and views of Hanoi’s lush streets. If you want a private balcony with iron details? Book a room in front of the hotel. 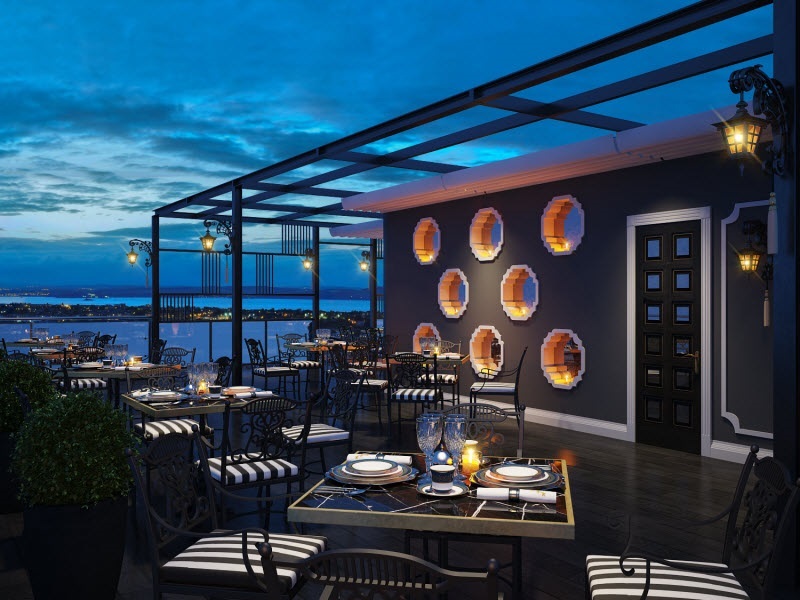 Vietnamese-Cantonese food restaurant and Garden Sky lounge where you can take your favorite photos on the terrace as well as enjoy a cocktail while watching the whole old town at sunset. With 364 rooms, although not considered a Boutique hotel, the Sofitel Legend Metropole Hanoi needs to be mentioned by its French-inspired charm. Once the residence of the French Governor in Vietnam, the hotel is located right next to the Hanoi Opera House and the Joseph New Gothic Cathedral. 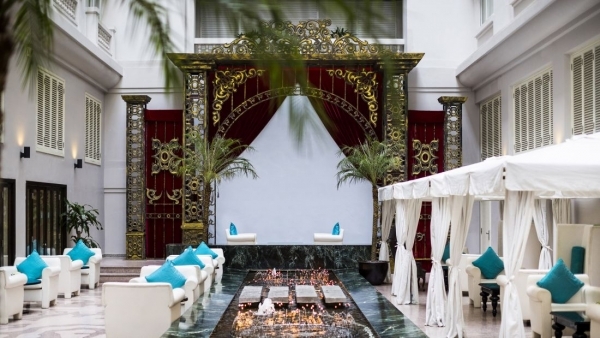 Inside, guests will find several famous restaurants, such as Le Beaulieu of France and the romantic Bamboo Bar located by the pool. Since its opening in 1901, the hotel has welcomed many celebrities, celebrities, and politicians, including Charlie Chaplin and Graham Greene.